A money transfer to South Africa may seem simple enough, after all most people reading this article will never have come across the impact of exchange control regulations before. These can have a profound effect on your ability to effect a repatriation of your funds later on (transferring money back out of South Africa that you had previously transferred in). If you are not aware of the exchange control regulations you should click on the link above and we also discuss their impact in brief below. But first let’s first look at the basics. 1. Using your local bank. No service fees for money transfers to South Africa. So how do Incompass distinguish themselves from other money transfer companies? 1. Our knowledge of South African Exchange Control regulations. Many non South Africans will never have come across the concept of exchange control regulations before and due to this will not consider the impact of them when making a money transfer to South Africa. Others who maybe have some knowledge of exchange control, may think that exchange control regulations really only apply when transferring money out of South Africa. Exchange control regulations are applicable to all movement of money – both in and out of South Africa. Importantly the ‘how’ you transfer your money to South Africa can have serious repercussions on ‘how’ and ‘if’ you can transfer your money back out. It is doubtful that most non South African based currency companies will have knowledge of South African exchange control regulations and will therefore be unable to advise you accordingly. A failure to follow the correct processes and procedures can result in a 10% ‘fee’ on currency transfers out of South Africa. In fact in extreme cases it could mean repatriation of your funds is not possible. As an example individuals wishing to transfer money out of South Africa in the future might have to show that they have declared their foreign assets and liabilities to the Financial Surveillance Department. Whilst deciding on who to trust for your money transfer to South Africa you may well come across some amazing websites and talk to some excellent company representatives. But it’s easy to boast of what you will do. The proof, as they say, is in the delivery and there lies the conundrum. How do you know how good someone is until you try them? 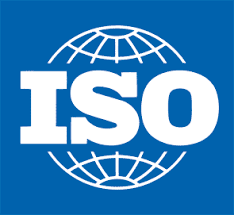 Luckily there is an International body that provides you with an answer – the International Standards Organisation (ISO). Companies who are serious about delivery of service and security can subject themselves to applying for accreditation of and one or more ISO standards. The process is expensive and time consuming for companies, but it shows their utter commitment to their clients. Incompass hold both ISO 9001 and 27001 and you can read more about what this means to you here. No fees, excellent exchange rates, first class service and the peace of mind of knowing you are dealing with experts in exchange control regulations – all with the backing of ISO 9001 and 27001. With no registration costs and no obligation, try Incompass for your money transfer to South Africa. 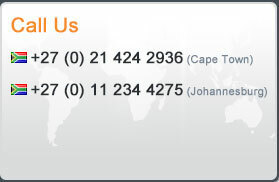 To find out more about how we can help you with your money transfer to South Africa call us on any of the numbers below or send us an e-mail. For South African expats with a need to transfer back home see here for more details.